Have you ever wondered what it would be like to land your dream job? This post is the first in a series where I will be interviewing people about various "dream" internships. Today I am interviewing Rudy Saunders who was a "pinktern" for Lilly Pulitzer last summer. 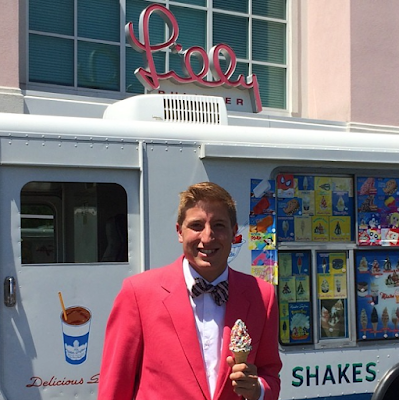 Rudy works at my local Lilly store and is easily spotted in his bright pants and printed jackets. 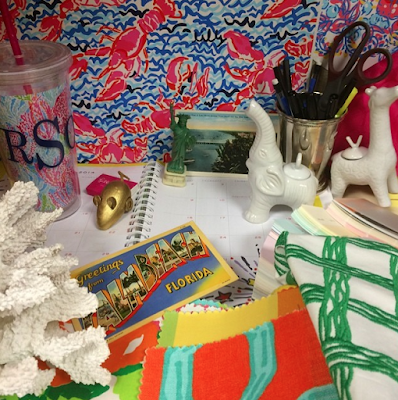 1) What's your typical day as an intern for Lilly Pulitzer? There was no typical day at the Pink Palace, which I loved! Typically the group of interns, or as Lilly likes to call them: Pinkterns, that lived together would drive to the Pink Palace together. It is always fun to see what everyone is wearing, from samples to vintage pieces and everything in between. 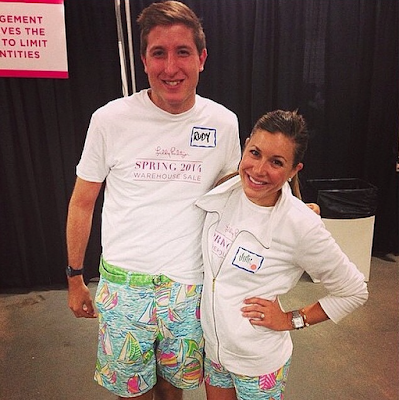 Everyone is just as friendly, upbeat, and fun as you would expect working for Lilly and is extremely fashionable. It was a great experience in that we were treated as regular employees, different from many internships in the fashion industry. I was the Visual Merchandising Intern which meant I got to help with how merchandise looks in stores, window displays, and new store designs. Juggling many different aspects was always challenging, but because of the fun subject matter it felt like it wasn’t work at all. For lunch many people head to Wegmen’s, the amazing grocery nearby. 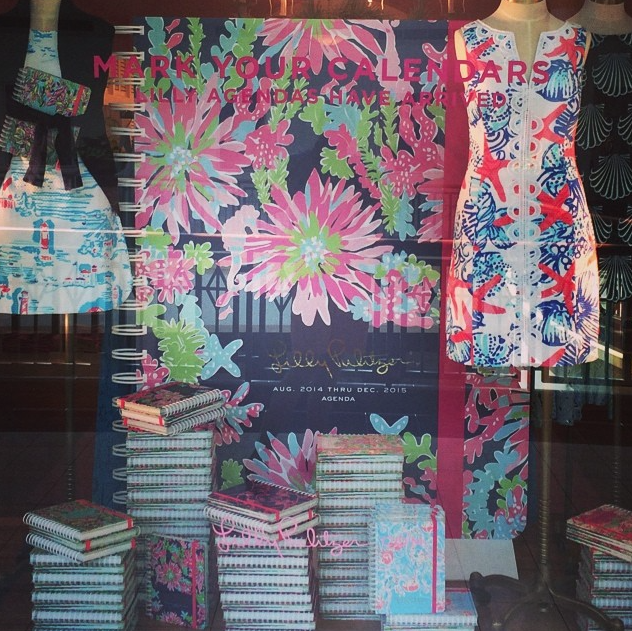 It always made me laugh during lunchtime seeing the groups of Lilly employees getting lunch covered head to toe in print. Every day was different, whether planning what print designers were painting in store fitting rooms, playing at stores making them look beautiful, or spray painting oranges for goodness knows what! I also traveled to different stores for visual visits which was great! 2) What was your favorite opportunity/activity as an intern? This is a really tough question, everything was great. I would have to say traveling to New York City for a long weekend with a Lilly Print Designer to freshen up our store on Madison Avenue in the Upper East Side. This was such a treat to get to explore the city and have fun working along the way. 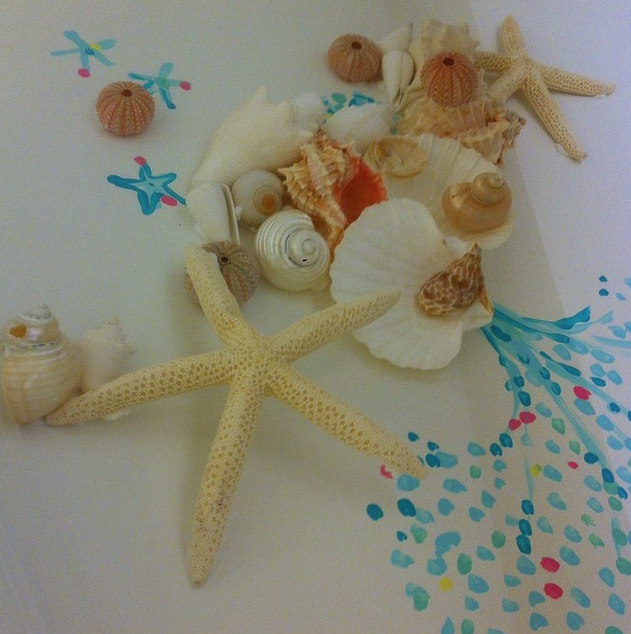 We repainted some of the fitting rooms and the highlight was getting to help our print designer out! Glueing shells to the wall, painting cats, (there are 54 in one fitting room) and then re-merchandising the store were on the to do list. It was great fun getting to interact with the Madison Avenue Store Team and leave my stamp at this special store. Plus, I had my first New York City Home Depot experience...trust me it is a long story! 3) What are you majoring in/ what job do you hope to have in the future? I am an interior design major at The University of Cincinnati DAAP Program. There are literally too many fun options to select just one for the future, but I know it will involve color and a happy atmosphere! I love hospitality, retail, residential, and textile design and hope to find something that allows me to work on these. This past spring semester I interned for Dorothy Draper & Co. in their Palm Beach office (trust me it was a dream internship too!) and am headed to Dorothy Draper in New York City this fall semester! 4) Did your internship feel more like work or play? Definitely play. Everyone who is there is there because they love the brand. Laughter is rampant throughout the entire Pink Palace and the countless stores I visited. I loved getting to dream and let creativity run wild! Additionally, growing close with the other interns last summer was great and helped to add to the fun atmosphere. 5) Do you have any advice for people hoping to land this internship in the future? 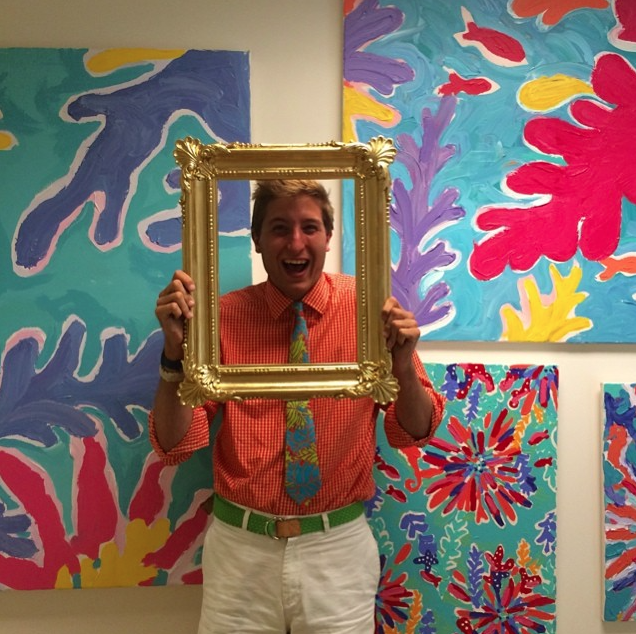 The best advice I can give is to have an optimistic attitude and lead a colorful, fun life! Lilly really is such an amazing company that has a really great intern program over the summer. I would recommend to anyone looking for loads of fun, hard work, and the best summer ever! 6) What's one clothing item you can't live without? Probably the hardest question. I would honestly say Lilly swim trunks. They are great quality and scream POOL PARTY! I love long summers at the lake in Northern Michigan and winters on Palm Beach in Lilly trunks. The company doesn’t make Men’s Stuff anymore, so all of the pieces I have I treasure. My collection of Lilly items makes me really happy and has so many great memories. 7) What's the weirdest/ most bizarre task you have ever been given as an intern? Probably the most bizarre task I had as an intern was working the Lilly Warehouse Sale. The stories from the event are numerous, but it was definitely an experience! 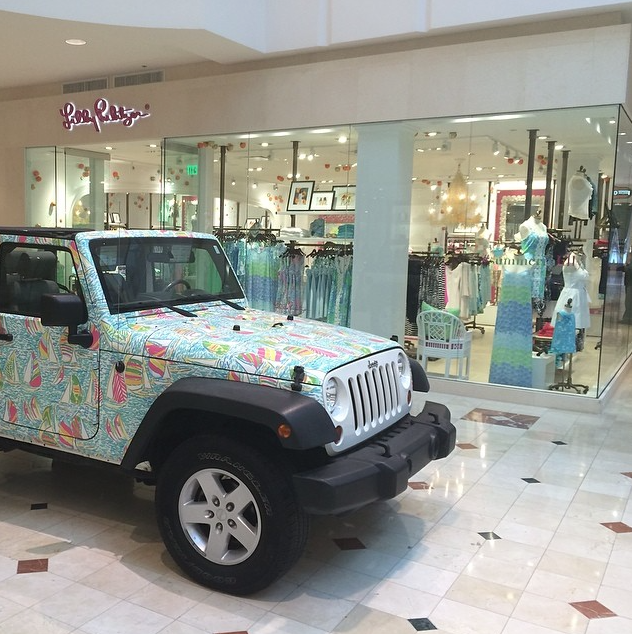 Such a rewarding experience seeing the amount of Lilly lovers who turn out to support the brand. Definitely a wild ride those couple of days, but a memory I won’t ever forget. 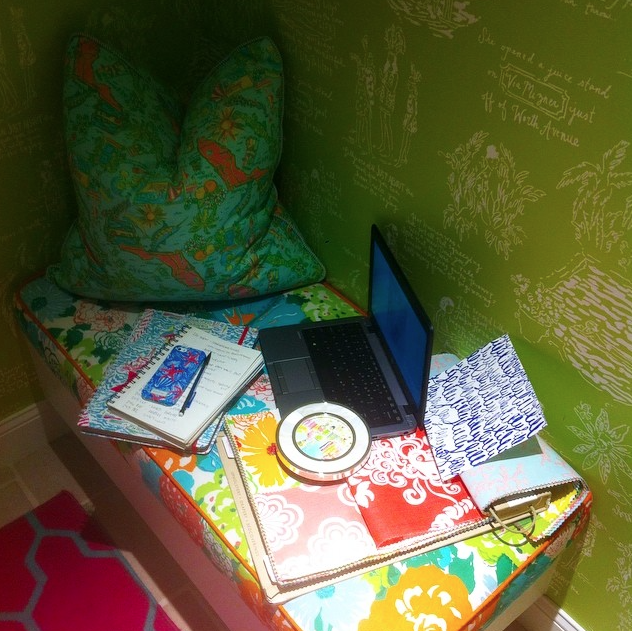 I hope you enjoyed this peek into the life of a Lilly Pulitzer intern! Thank you Rudy for all your help.